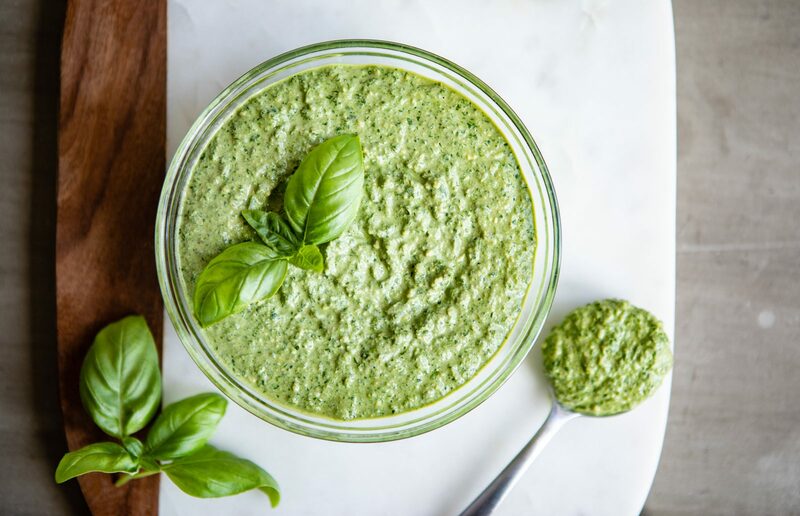 Place basil, spinach, MCT oil and pili nuts in the bowl of a food processor and blend until evenly combined. Add ricotta cheese and a little salt and pepper, pulse a few times until combined. Taste and adjust seasoning depending on desired preference.